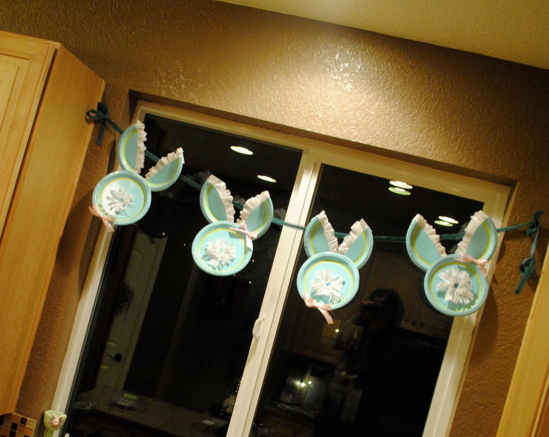 Holiday Snob made this cute garland with paper plate bunnies. Then she mixed it up by adding these fun Easter egg paper plates from Target. The same cute plates that I had purchased for Easter lunch but my husband used in March. Boys! So we will have to stick with the cute bunnies. It is a fun craft for the kids to make even if you don't have time to make an entire banner before Sunday. You can see their tutorial HERE.